The latest addition to the growing Stelrad Radiator range is the Silhouette with versions now available in the Vita and Softline Series. The Silhouette features sophisticated vertical lines on the fascia creating a crisp, clean, bold appeal. The Vita has flat grille and side panels whilst the Softline features gently curved side panels and grille. Silhouette is a step up from the standard Compact models, but remains an entry level premium panel option for those looking for something a little bit more special than a standard panel radiator. 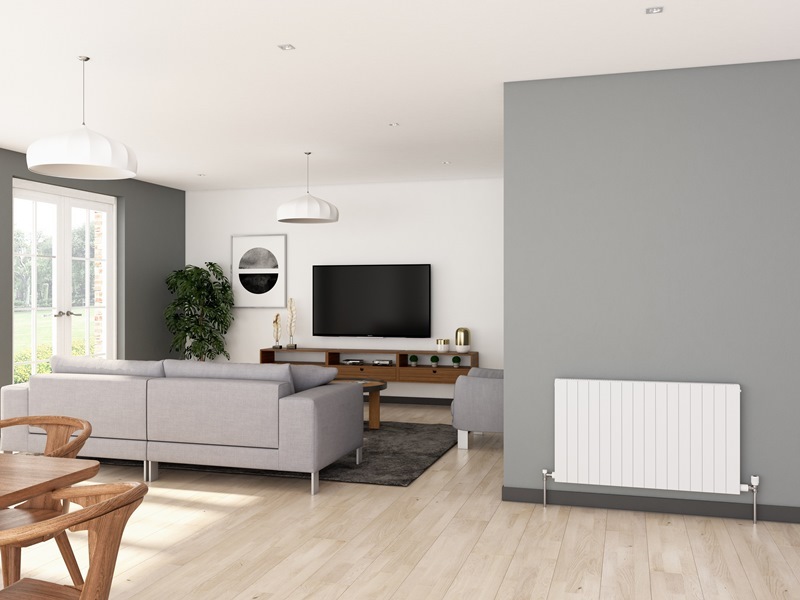 The company reports that it is already proving a popular introduction for housebuilders keen to offer their customers a step up from ‘the norm’ – in radiator parlance. PHPD caught up with Stelrad to discover the design options now available for radiators. The Silhouette is available in 40 different models in K1 and K2 formats, in heights 300 to 600mm and lengths from 400 to 2,000mm and comes in white as standard from stock. It has outputs from 235 Watts (802 Btu/hr) up to 3202 Watts (10,925 Btu/hr).